Celebrations come wrapped in many shapes and sizes. We prefer ours small and intimate. China Beach Retreat is the perfect location for a very memorable, intimate occasion. A strong sense of serenity pervades here. The vast, seasonally changing landscape, formed when bay, river and ocean merge, has a mesmerizing effect on the viewer, while it provides a safe resting place for wildlife and waterfowl. The Main House at China Beach houses three couples, and the Audubon Cottage will accommodate one couple. David Campiche and Laurie Anderson, who were the owner/innkeeprs at the Shelburne Inn for 40 years, have hosted many group retreats and weddings over the years and they will assist you in making your own gathering an unforgettably delightful event. 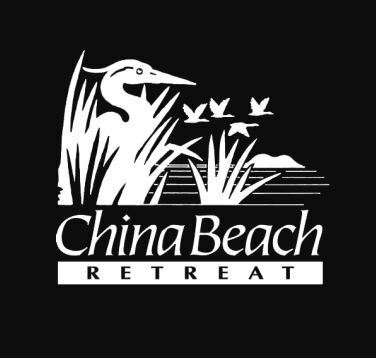 Discounted group and business rates are available for lodging and dining at China Beach. The lovely craftsman house can accommodate small retreats of up to twelve persons. The property will sleep a total of six people (two per unit).